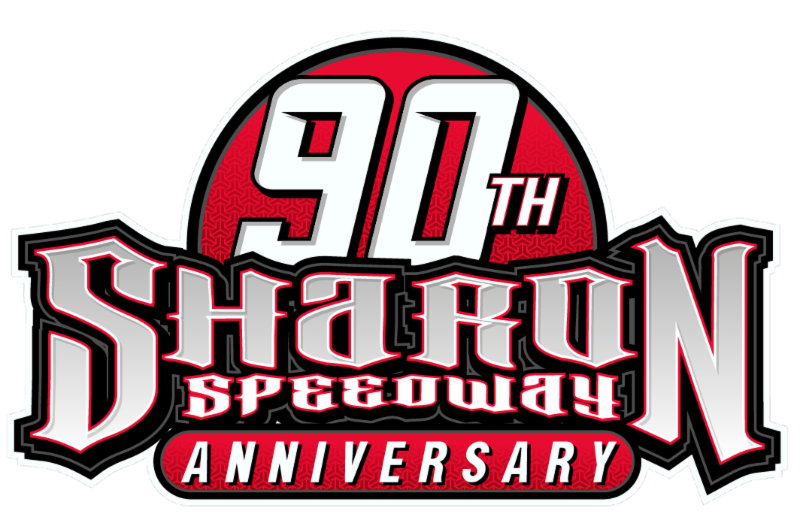 IMPERIAL, PA (October 7, 2017) Don O’Neal completed a weekend sweep, winning the 29th Annual Pittsburgher 100 on Saturday night at Pittsburgh’s Pennsylvania Motor Speedway. O’Neal led from start to finish to collect $20,000 for his first career win in the annual event. 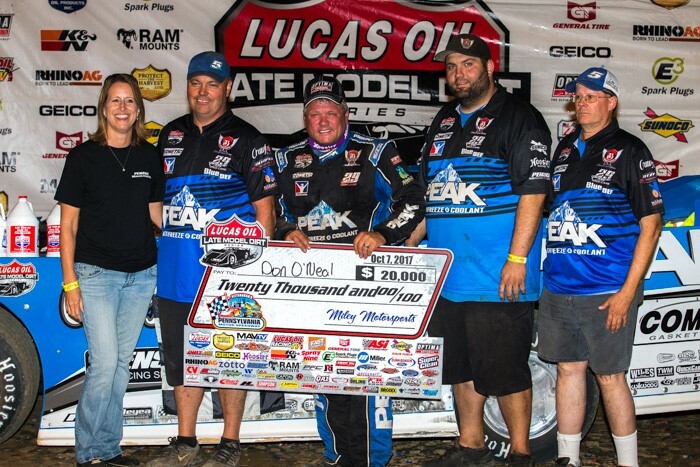 It was O’Neal’s second Lucas Oil Late Model Dirt Series win of the season as he led his Clint Bowyer teammate Darrell Lanigan in a one-two sweep for the NASCAR team owner. Josh Richards, the defending race winner came home in third. Richards’ third-place finish moved him into second-place in the championship point standings with one race to go. Richards is now 40 points behind the leader, Tim McCreadie, who finished sixth in the race. Scott Bloomquist finished 18th and is now third in championship standings at 75 points behind McCreadie. O’Neal waited through several caution flags during the race to score the win. O’Neal was untouchable after the restarts as nobody was within striking distance of him at any point during the race. O’Neal had a scare with a lapped car with two laps to go as he nearly got into the turn one wall. He escaped the mayhem unscathed and went on for a dominating victory. In Lucas Oil Victory Lane, O’Neal commented on the roll his team is currently on. “Another podium finish sounds good, and this time we got the win,” said O’Neal. “Last week, we had two runner-up finishes and tonight the car was just fantastic, in fact all weekend long it was just perfect.” O’Neal completed the weekend sweep at Pittsburgh by setting a new track record and scoring a convincing win in his heat race in Friday night’s preliminaries. Completing the top ten were Tim McCreadie, Hudson O’Neal, Boom Briggs, Mason Zeigler, and Rick Eckert.